I wanted to send a quick thanks to Sonja from Tied With A Bouw blog for being so kind enough to send me the CLEO Magazine I was featured in from Malaysia! We don't get that mag here so it was great to see her offer...oh & she sent me a super cute housewarming gift as well! 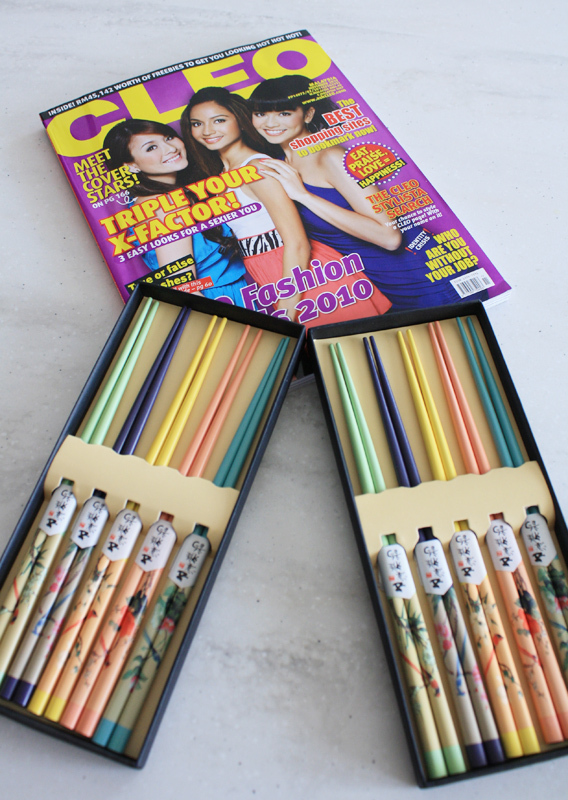 Colorful chop sticks, which we'll definitely be trying out soon! Thank you Sonja for putting a smile on my face! !